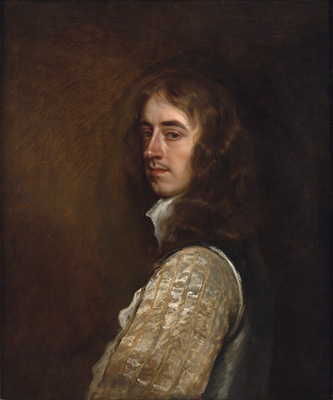 To view portraits by Peter Lely for sale, please go to www.philipmould.com. Edward Proger spent almost his entire life in royal service. He began his career as a page to Charles I in 1636, and on his death in 1713 he was 92 years old and still a crown employee – the only former servant of Charles I still living. Born in the reign of James I, the first Stuart, he died in that of Queen Anne, the last, and was typical of those ardent royalists who never wavered in their allegiance to that house. Proger, whose name derived from the welsh Ap Roger, was the son of Philip Proger of Gwernvale, Brecknockshire, an equerry to James I. During the Civil War, he served Charles I at the court in Oxford, and almost certainly fought in some of the battles of the time, probably that at Naseby. After the royalists were comprehensively defeated, he escaped into exile with Charles II, who appointed him one of the grooms of the bedchamber, a post he held until the King’s death in 1685.